Councils this week started to formally tell Whitehall about their Brexit risk assessments amid fears of crime spikes, public demonstrations and food bottlenecks. This story first appeared on themj.co.uk. With increasing uncertainty after MPs rejected the withdrawal agreement hammered out with Brussels, Government departments have been ramping up preparations for the worst and for no-deal communications. After criticism of fragmented Government communications, Whitehall is also increasing the frequency of its engagement with councils on Brexit, with a Whitehall bulletin for the sector, weekly teleconferences and closer working with the Local Government Association (LGA) among the latest plans. The potential impact on local government is also understood to have been discussed at a Brexit cabinet meeting on Monday. 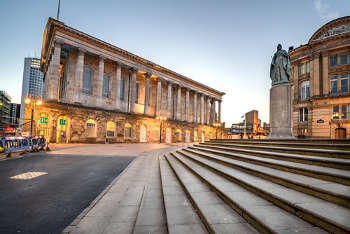 Councils have already begun preparing for civil unrest, including a potential spike in hate crime, and have identified a range of risks, from public demonstrations to more serious disorder based on perceived shortages of supplies and price increases. Local resilience forums (LRFs), which include councils, have now started to fill in the Government’s reporting template form, which they will be responsible for completing weekly. As part of this, they will be asked to provide information on potential disruption to law and order and community cohesion. The reporting regime will continue for up to three months after March 29 and may be stepped up to operate on a 24/7 basis if the UK is plunged into a no-deal scenario. As part of the regime, LRFs will have to assess the likelihood and scale of disruption to transport hubs, key infrastructure, health, social care, food, water, energy, business and financial services, as well as their level of preparedness. They will also have to ensure they have capacity to respond to any other unexpected emergencies or second order impacts such as severe weather or a health crisis. The template will eventually become the central reporting mechanism for LRFs to use to report risk ratings to the Government. Whitehall is planning to make use of the online private network ResilienceDirect, with work underway to increase the capacity of the site to accommodate the expected increase in usage. The Ministry of Housing, Communities and Local Government, which did not receive any Treasury funding to prepare for Brexit in 2018/19, has asked the sector for evidence of expected additional costs to help its lobbying of chancellor Philip Hammond. Its appeal comes after a leaked letter to Mr Hammond by communities secretary James Brokenshire called for local government to receive more funds to deal with Brexit on top of the £35m in 2019/20. A consultation response from the LGA, which is pressing for the £35m to be provided before April, read: ‘£35m is only available in 2019/20 after we leave the EU and is simply nowhere near enough to deal with the work that needs to be done in our communities. Mr Brokenshire has also been excluded from the newly-created cabinet committee for European exit and trade, despite it having considerable clout over post-Brexit domestic policy. The National Audit Office is understood to be looking into Brexit readiness on an ongoing basis.